Procter Automotive is proud to be an expert and friendly provider of car maintenance Abilene services. Performing regular scheduled maintenance at the appropriate service intervals is essential to keeping your vehicle running smoothly. It is important that the mechanic you trust with your car or truck is highly trained and experienced with your vehicle’s make and model. With nearly seventy years in business, Procter Automotive employs the very most skilled and dedicated auto maintenance experts around. From alignment to timing belt replacement, to transmission repair and more, Procter Automotive is here to help you with all your car maintenance and repair needs in Abilene. 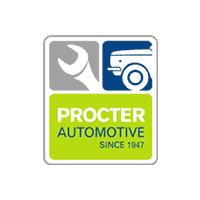 Procter Automotive has offered quality truck repair and car maintenance services to Abilene customers since 1947. We only employ the most qualified ASE certified mechanics. Our mission is to provide honest, reliable and effective auto services. We are dedicated to ensuring that our customers are back on the road safely as soon as possible. Procter Automotive is Abilene’s only AAA approved auto repair shop. Every vehicle that comes into our shop is treated as if it were one of our own. We know cars and we love cars! Contact Procter Automotive, the first choice for car repair and truck repair in Abilene, to schedule your appointment with one of our ASE certified mechanics. We specialize in brake repair, clutch replacement, check engine lights and more! Do not let your vehicle’s scheduled maintenance get off track – let us bring it up to date with our fast and friendly auto repair service.